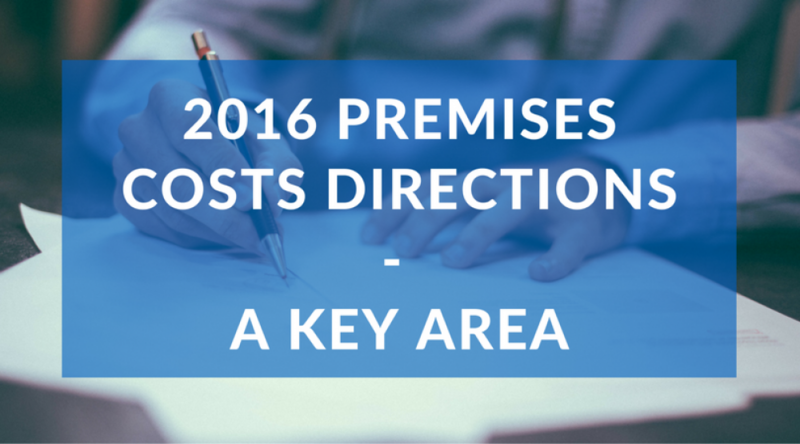 The new 2016 Premises Costs Directions will be published soon. Lets highlight a key area of the document, the new NHS Lease template proposal with ‘the break clause’. Here’s a background. NHS owned premises with a GP occupier who does not have a lease: NHS wants to regularise the situation by demanding they have a lease. Many GPs will not sign unless they can see an exit in a reasonable time frame. Hence the proposal / option of a break clause. But and this is a big ‘but’ is this the main catch to get the inclusion of a SERVICE CHARGE included in the lease documentation. Watch out here. It is important; there is not at this time any reimbursement for the service charge. This is an immediate cost out of the practice budget. At least with a ‘3rd Party’ lease you have a motivated landlord who will be keen to workout a plan with you rather than see the GP contract handed back to the NHS. The Bank will be relentless until they have your house, your car and anything else you have offered as security. In this new document we will see that the NHS have formed a template to get those GP’s in NHS property without a lease to actually sign a lease on the premises they deliver the NHS Primary Care service. You could ask why? Do the Consultants in a hospital sign a lease? We will also see they have inserted the provision for a break clause for these fortunate GPs, say 10 years after the 20 year lease starts. What a fortunate scenario, is it not? Sign up for 20 years and if it doesn’t work, bale out, no questions asked. Or is it? The Wider Implications Of The Lease Break Clause on 3rd Party or GP Owners (and how does this impact GP or 3rd Party owned property)? If you are a GP in non NHS owned premises trying to recruit a GP to your practice you will be expecting them to sign up to continue the lease. The competition for recruits could be distorted toward the NHS premises, if they can bail out in a shorter time period and the risk is perceived to be less. This is the case for both types of tenure. However, if you have a bank loan and have not paid down the debt and reside within a worn out, not fit for purpose building and expect another GP to take over your debt…..refurbish at practice cost afterwards, well, I really do think there are some challenges to be discussed. For a GP coming in to practice I would think they would not be tempted to sign up to the debt and an NHS Lease would be more attractive. In a discussion with Carole Cusack at the Wessex Local Medical Committees (LMC), we just focused on this one element. The LMC are expecting NHS Property to offer this break clause in the standard lease’s offered to NHS property tenants. (recap) What Is A Break Clause? A break clause is a provision in a lease that enables either the landlord or the tenant, to end the lease of a tenanted property at agreed times in the lease term. Valuation of your asset if you have a break clause in a lease, the lease is only going to be valued for the period up to the break clause. In this current climate it is potentially going to be more attractive for some GPs to be able to take a 20-year lease with a 10-year break clause, so they only effectively have a 10-year commitment? That is if they take on a lease at all. A substantial property tenure, Freehold or Lease of 20 years plus provides GPs and their successors control and thus a greater right to keep delivering the Primary Care service and therefore they are protecting their own income stream for the future. This comes at a cost in terms of financial risk and all the terms have to be really looked at to ensure the risk reward ratio is acceptable. A right to terminate the lease ‘a break clause’ at different time periods of the lease can help reduce the financial risk profile if you have concerns over succession as many do in this current climate, but it can operate both ways and can reduce security of tenure and income. Other areas that are not commonly discussed that should get an airing are dilapidations and redundancy payments which should be two of the next biggest concerns for the break clause operation and last person responsible at lease end many staff are GP employees, not NHS staff. 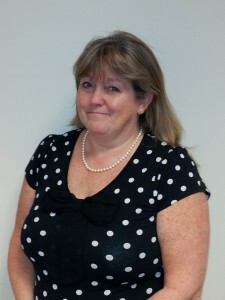 For those in freehold property, there is the disposal of the property and the redundancy of staff? As Carol makes the point the premises can be become obsolete and have little to no alternative use value. At least at the end of a lease you can walk away, with a few caveats, but this is part of a bigger discussion. In the current GP climate there is a shortage of GPs prepared to sign up to long-term property responsibility, whether it be a lease or freehold. This puts a pressure on the succession process and who is going to take over responsibility of the premises lease or freehold debt. This asks the question: should GPs be responsible for providing premises or should the CCG / NHS underwrite the premises risk? We have asked this before. Why do we have a process where a group of private individuals (GPs) are expected to provide premises and staff for what is ostensibly a public service? The answer is simply history and perceived opportunity. Then we can get into a discussion on the nature of the whole ownership of delivering a service, which the GPs and staff are proud of, rather than one that they merely turn up and do as a faceless bureaucrat tells them. Providing a break clause can become an attractive opportunity for recruitment if you want a profit share of a commercial enterprise and a perceived less difficult exit strategy. But the curtailment of that right to share in those profits can be taken away. We all acknowledge that recruitment is currently at a peak for being a difficult fulfilment challenge. With CQC having the potential to seriously harm a GP’s business reputation by downgrading a surgery, not because it is a poorly maintained surgery or the care is substandard, but only as they are unable to recruit a GP and a lead nurse. This will be a huge discouragement for a new GP to entertain joining a surgery business and take on responsibility with this sort of bulling by the NHS sanctioned Rottweiler. How much of an impact will the ‘break clause’ have on the recruitment bias to be drawn away from owner occupied surgeries requiring succession and into an NHS property where GPs will not feel obliged to sign up big debt. This will possibly present bigger problems, lack of cover, a dwindling of GP replacement interest and salaried doctors. As reimbursement requires a GP to be on a lease to make funding work for either a 3rd Party or Owner funded premises. If A Lease Is Handed Back How Will NHS Deal With Service Provision? If a GP cannot find successors for the surgery often this means an NHS contract is handed or taken back, the lease is still committed to and the GPs are responsible for the rent. In a recent Pulse article, an 18,000 patient surgery in Banbury, Oxfordshire, are terminating the NHS contract. They cannot recruit. When an NHS contract, not property lease, is handed back, the NHS can, either, find salaried doctors and run a service under the same contract or put the NHS contract out to tender. Does this create an opportunity for the NHS to put in salaried GPs then package a new lease around their own companies and sell the operation to the private operator groups with teams of salaried GPs on new leases granted by the NHS ? This creates a scenario where a care service is provided to the UK, but it is 100% commercially driven. This means: no family ties; no connections; no heritage; no association with a community. The provision of primary healthcare with a surgery framework has been built on generations of the GPs knowing families and being part of a community. When it becomes a commercial entity, does this become the thin end to the wedge for privately driven family care services? We agree with Carole on all these points but ask is this really the thin end of the wedge for the death of the Family run Primary Care service that we have grown old with. The brave new world of corporate delivery of a primary care service. There has to be a discussion, but who is prepared to listen? There appears to be a top down dictat across primary and secondary care. It is not working. I leave with a thought. To bring parity with the break clause is there an expectation where a GP effectively says to the NHS, “no one wants to succeed me, so you step into my shoes and take over my property obligations. Work with the medical team we have built here to deliver the care. You tell me I have to deliver a specified service on the money you currently provide we will step back and let you show us how to actually achieve these obligations.” Much like the ‘Out of Hours’ service except that was Government led. Possibly GPs should be expecting the NHS to allow those operating within owner-driver, or third party property to have a ‘put and take’ option, we have two of these on projects we have been involved with. Whilst there are many questions to discuss, this would provide greater control for the NHS to deal with delivery of packaged service provision. The greatest thing a GP wants is peace of mind, whatever stage they are within their profession. Financial risk and exposure is not a comfortable place to be at any age especially in the latter part of ones career.